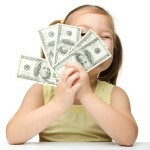 MathRider » Blog » Should We Bribe Our Kids? Here’s the big question: should we bribe our kids? When we give our children an incentive for doing something successfully, we often think of it as a reward. Others, however, might look upon it as bribery. Kenneth Barish, Ph.D., looks at both sides of the coin in an article for Psychology Today. In terms of giving children rewards, Dr. Barish cites an informal online debate engaged in by journalists Bruce Feiler and KJ Dell’Antonia, with the former not favoring bribery and the latter being all for it. Dell’Antonia stresses how successful she is at getting her kids to finish their assigned summer reading because of bribes, and she plans to do more of it in the future. Feiler, on the other hand, decried the practical and more complications of frequent bribes, and expressed misgivings for bribing children in general. Dr. Barish proceeds to say that there is truth to both sides of the bribery equation. 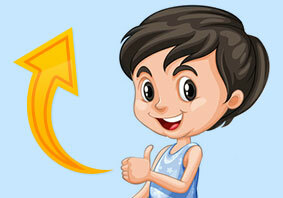 Giving children rewards for achieving something is a way of making kids learn the concept of earning their privileges. On the other hand, when giving children rewards has become all too frequent and treated as a solution to family issues, then we have to have to look at the situation a little more closely. Citing decades-old research done by psychologists Mary Parpal and Eleanor Maccoby, Dr. Barish says children learn cooperative behavior more through learning reciprocity than earning rewards. I’m all for teaching children the idea of reciprocity, but in so many ways, I could be an “unabashed briber” myself just like Dell’Antonia. So far, it has gotten me and my children the best results, and I do plan to stick with it, especially when it comes to their performance in school. For more on shouldn’t we or should we bribe our kids, click here to read the full article. This entry was posted on Tuesday, December 10th, 2013 at 6:56 pm	and is filed under Commentary. You can follow any responses to this entry through the RSS 2.0 feed. You can skip to the end and leave a response. Pinging is currently not allowed.